I can’t be the only person who was scared of these right? We have all seen the Titanic and the Poseidon Adventure and seen everyone swanning around in their ball gowns and tuxedos, as if the Queen herself is about to come dine with them. Thankfully, that is not actually a thing! If you have ever wanted to book a cruise and been put off by the thought of wearing black tie every night. Or if you have booked a cruise and now you’re having a mass panic over what to wear. Then I am here to help! 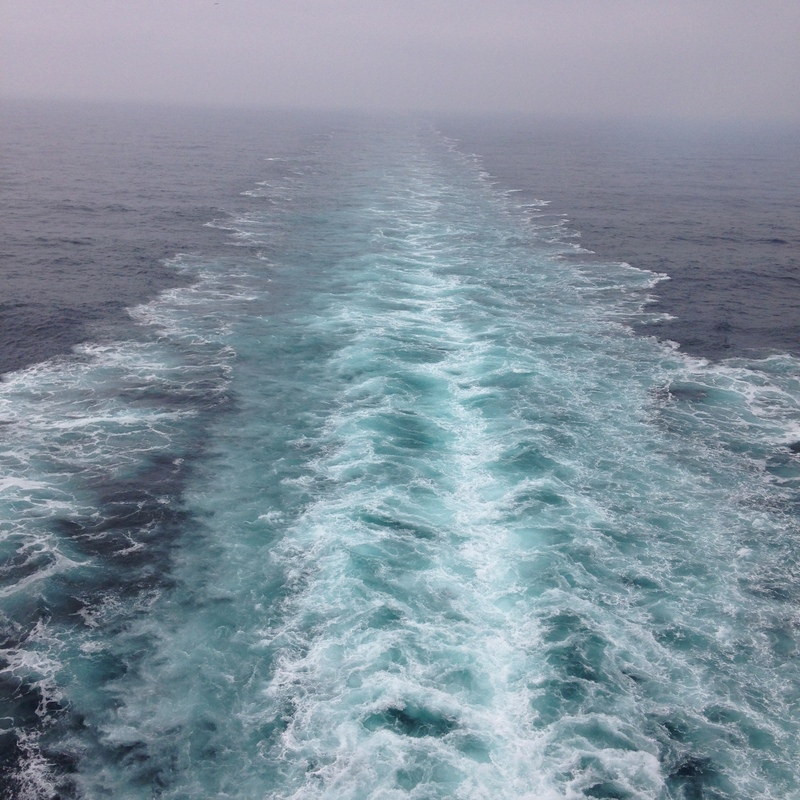 I have only sailed on: Norwegian Cruise Line, Princess Cruise Line and P&O. But from talking to other passengers I have pretty much established that the only truly formal line still at sea is Cunard. If you have the dedication to dress fancy every night then they are for you. But if you’re like me and you prefer to run riot in a pair of shorts then other lines offer varying degree’s of formality, that are easier to embrace. First things first! On embarkation day there is no dress code. This is mostly encase your suitcase does not reach you in time. But it’s also because it’s been a busy day for everyone! So the cruise line is willing to cut you some slack. Daytime: Pretty much anything goes during the day! You’re either in the clothes you’re going ashore in, your beachwear or if you’re at sea and it’s not warm outside your normal clothes will do. It’s not half as judgemental as you think. Personally, I’m normally in a bikini and a playsuit. With a pair of sunglasses balanced on my head. Night: This is where it gets complicated in that every line has different rules. But as a general rule: Women can basically get away with everything except distressed jeans and crop tops. Men, I’m sorry to say that the jeans rule also applies to you. Plus, to add insult to injury on most lines you will not be able to wear shorts. If you’re like me and you think that trousers are leg prisons; then my advice is to get on Norwegian Cruise Line. They always have at least two waiter service restaurants in which men can wear shorts. Personally, I’m either in a sundress or a pair of shorts on a night. The staff have never had a problem with what I’m wearing. Although I have had my fair share of old women telling me my shorts are inappropriate. Did you know it was still 1902? Pro tip: There is no dress code in the buffet you can wear whatever you like in there. The dreaded formal night: You will dread this until you step foot out of your cabin and you realise that an awful lot of people look like they’re going to Asda to do the weekly food shop. I wish I was joking…I can’t tell you how many people think wearing a sequinned top automatically makes them fancy. Women: Anything you feel pretty in is fine. The cruise line will officially tell you a trouser suit or a dress/ cocktail dress. But as a woman pretty much anything goes. Men: I’m sorry to say that once again you have drawn the short straw! Even if you don’t want to be in a suit it’s likely that the cruise line will expect a collared shirt and chino trousers, as the bare minimum. Attitudes to formal night: Not every line will care whether people don their cocktail attire. In fact I have only encountered one that does care! NCL: Do not believe in formal night! There is an optional night called Norwegians Night Out but people rarely partake. With this company it’s all about a theme night called: white hot. Princess: Will let you in the dining room even if you have shunned black tie. I’ve been on Princess voyages that have had as many as 4 formal nights. Everyone tries for the first one and the further you get into the journey the more people abandon the bow ties. Theme nights: Some of these you will look odd for not joining in but others nobody will bat an eyelid. For example Norwegian do a night called: Norwegians like it white hot! It is one of my favourite nights on-board. As you would assume everyone wears white and I find that uniformity enormously satisfying. If you don’t join in white hot you’re going to stick out like a sore thumb. On the other hand, Princess do a variety of different theme nights such as 50’s night and Hawaiian night. That do not require a dress code. If you’re curious about the theme nights your line does then the forums on Cruise Critic or Shipmate (a mobile app) will be a great source of information. I don’t dress any differently on a ship than I dress during the rest of the summer. I promise you, that it is not at all stuffy or uptight. Stop stressing over what to pack; throw your favourite items in the case and just be excited for the brilliant adventure ahead. However you dress on land will be perfectly accepted on the ship. Cruise lines welcome passengers from all walks of life and give them the experience of a lifetime.